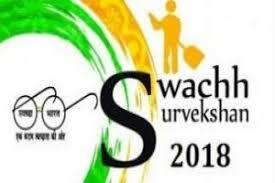 Sikkim’s Rangpo came on top at the Swachh Survekshan 2018 results, among the best cities in solid waste management in northeast region. The entry point of the State has been selected alongside Kakching and Mayang Imphal of Manipur and Biate of Mizoram in the category of towns having less than one lakh population. Union Housing and Urban Affairs minister Hardeep Singh Puri announced the results in New Delhi. The award includes a cash prize of Rs.1 lakh and a certificate. 37.66 lakh citizens gave their feedback on the Swachh Survekshan, which covered 4,203 municipal areas across the country. In 2017, only 434 municipal areas having one lakh or more population were ranked on sanitation parameters. Rangpo municipal executive officer Himmat Rai congratulated the residents of the town.